I'm a professor in the departments of Mathematics & Statistics and of Biology at McMaster University. My interests range widely in spatial, theoretical, mathematical, computational and statistical ecology, evolution and epidemiology; plant community, ecosystem, and epidemic dynamics; and whatever else takes my fancy. Alternate location/phone: LSB 336, x24376. My schedule for the current semester. here, with links to PDFs (the username/password combination is bbpapers/r*e*s*e*a*r*c*h [without the stars]); you can get a a BibTeX-formatted list as well. This list is not quite up-to-date; I'm working on it, please e-mail me if you notice something missing/want a PDF copy of a paper that's not available there. Prospective graduate students in mathematical/statistical ecology, or empirical ecology/evolution with strong quantitative interests, should contact me by e-mail. 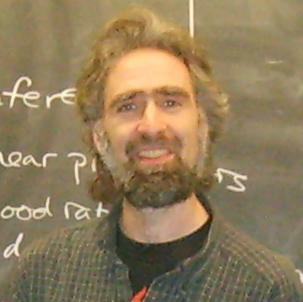 I can supervise students in the mathematics, statistics, or biology PhD programmes, or McMaster's computational science & engineering programme. While I strongly prefer students who have made at least some previous investment in quantitative tools, I do not have hard and fast rules about mathematical/statistical/computational prerequisites; please contact me to inquire. I have published a book on statistical modeling for ecologists, in R: there is also a wiki for it, with updates, errata, and so forth. Feedback is welcome. Errata for Hilborn and Mangel's Ecological Detective: HTML, LaTeX, PDF.